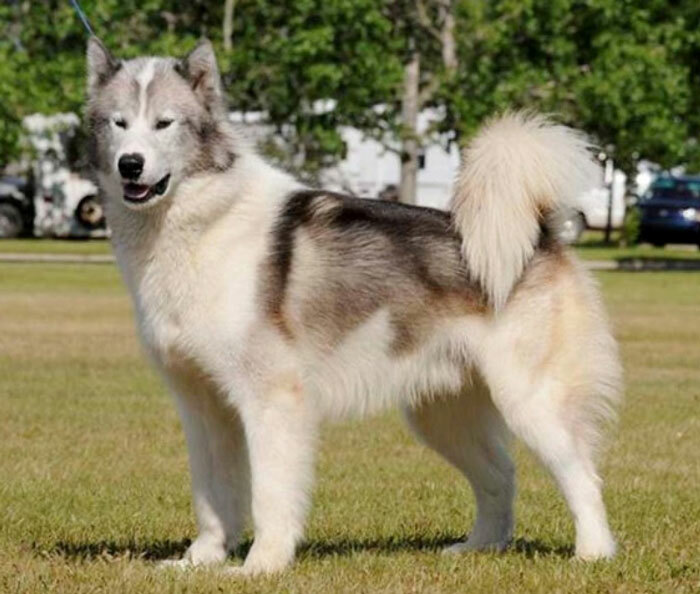 Origin: The oldest Canadian indigenous breed of dog, the Canadian Eskimo Dog has a long and unique history of being interdependent with the Inuit people of the Arctic. As a primitive dog, it was primarily carnivorous, with a natural diet that consisted of seal, walrus, fish and caribou. For centuries, they were used as a draught, pack and hunting animal. The breed proved popular with Arctic explorers and earned a reputation as a sled dog that could pull the heaviest loads over the greatest distances on the least amount of food. As snowmobiles gained favour, the number of Eskimo Dogs declined dramatically. Coat: In winter, heavily coated. Hair is straight or erect, very thick undercoat . A mane-like growth of longer hair over the neck and shoulder will appear on male specimens. The breed ‘blows’ its coat usually in August or September. The coat is thick and dense with guard hairs being hard and stiff. This outer coat will vary from 3-6 inches (7-15 cm) in length. The undercoat is very dense to give excellent protection during the most extreme winter conditions. Colours: No one color or color pattern dominates so all white with pigmented lips, eye rims and nose. Other colours on white include red, buff, cinnamon, grey, or black.patches on head or body. Solid red, buff, or cinnamon body with white legs or sable, black, or dark grey body with white markings. Feeding: A high quality diet either kibble or raw food is acceptable. The breed does not do well on a starchy diet so can be prone to zinc deficiency. Exercise: The breed need exercise, including a daily walk or jog, but should not be excessively exercised in warm weather.. need a large yard with a high fence, but may try to dig out. Weather tolerance: They do not tolerate warm temperatures at all, must have shade, plenty of water or access to AC. 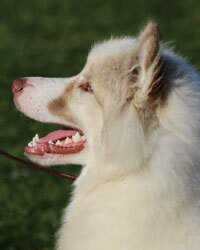 Temperament: The Canadian Eskimo Dog is not a dog for first time owner. 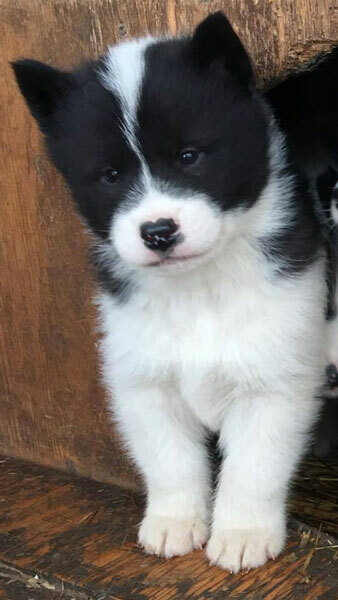 They grow quickly and are strong even as puppies, training and socialization needs to be started very early with youngsters. They are a primitive breed that can be very protective. Raised with kids and other animals they will do well. They are hunters so have a high prey drive and can be unusually sharp.